Noah Rothman, a brilliant young writer and editor at Commentary Magazine, has just published his first book, and it's about nonsense. Let me be clear: The book isn't nonsense. It's crisp, insightful and passionate. The topic, captured in the title, "Unjust: Social Justice and the Unmaking of America," is nonsense because social justice is nonsense. Now, when I say "nonsense," I mean nonsensical, as in lacking interior logic and definitional rigor. A few years ago, while working on my book "The Tyranny of Cliches," I put on my prospector's helmet and mined the literature for an agreed-upon definition of social justice. What I found was one deposit after another of fool's gold. From labor unions to countless universities to gay rights groups to even the American Nazi Party, everyone insisted they were champions of social justice. The only disagreements hinged on who is most in need of this precious resource. Common to almost every definition of social justice is some version of "economic justice," which usually means what philosophers call "distributive justice" -- i.e., taking money from the haves and giving it to the have-nots. But what it's really about is power. Its advocates want the power to do what they want, and if they say it's for social justice, that's supposed to make it OK.
For instance, the Green Party platform on social justice is nearly 60 pages (and 17,000 words) long. Among its planks: stopping speech that perpetuates "oppression and abuse," reform of the Bureau of Indian Affairs, sovereignty for Hawaii, compensation for gays and lesbians who've suffered from "injustice," the encouragement of young people's potential "to the greatest extent possible," and reinvestment of a "significant portion" of military spending on "family support, living-wage job development and work training programs." Social justice isn't a theory, it's a wish list. And here we get to the crux of the issue. 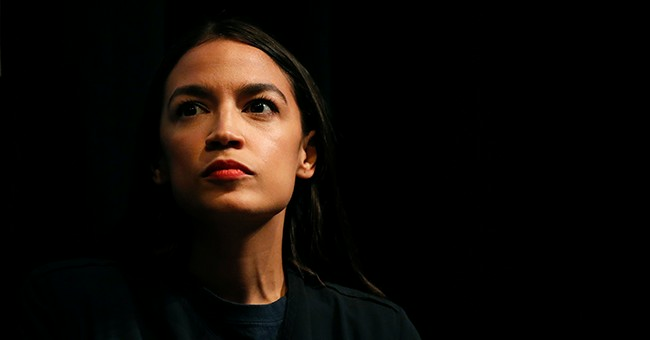 Conservatives who read the social justice literature can be forgiven for thinking the term is really just a Trojan horse for socialism, and in earlier eras it has been. But while it's true that many of today's social justice warriors advocate for socialism, the animating passion stems from identity politics. To put it bluntly, historically oppressed or disadvantaged groups want payback in the name of social justice. Rothman calls this "retributive justice." According to this view -- which obviously has more than a little truth to it -- whites have historically enjoyed privileges non-whites did not, and therefore non-whites are owed something and "white privilege" must be overthrown. The argument follows the same form for males, heterosexuals, etc. Among the myriad problems with this worldview is that individual circumstances are boiled away. The white descendant of a Northern abolitionist is as "guilty" as any other beneficiary of white privilege. Vast abstract categories of human beings are swept up into notions of collective guilt -- or victimhood. This is partly why philosopher Friedrich Hayek loathed the concept of social justice. He saw it as the very negation of plain old justice. Traditionally, a person is only supposed to be responsible for the wrongs he or she committed against a specific person. If Person A does something terrible entirely unbeknownst to Person B, it is unjust to hold Person B accountable solely because of the color of his skin. It's even more grotesque to hold Person B accountable for the things done by Person A if Person A lived 300 years ago. When Rothman appeared on MSNBC's "Morning Joe" to discuss his book, the reaction from critics on the set and in social media often boiled down to the claim that he can't criticize social justice because he doesn't belong to a category of people in need of social justice. A white guy's arguments can be dismissed out of hand because of the color of his skin. And this gets to the heart of why social justice is nonsense. Social justice is a kind of magical incantation that renders inconvenient impediments to its champions' agenda illegitimate. Free speech is good unless it hurts certain groups. Property rights are fine except when social justice dictates that someone else needs your stuff more. The right to confront your accuser is negated by the need to "believe all women." Even facts are irrelevant in the face of social justice. As the United Nations put it a decade ago: "Present-day believers in an absolute truth identified with virtue and justice are neither willing nor desirable companions for the defenders of social justice." In other words, if you believe the rule of law and simple truth should determine who's right, you're the enemy of social justice. I, for one, find those terms acceptable.